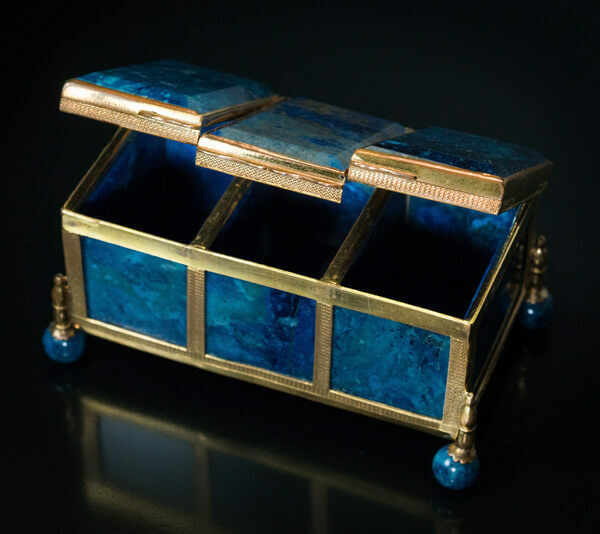 An antique jewelry box with three individual compartments is designed as a chest with four ball feet. 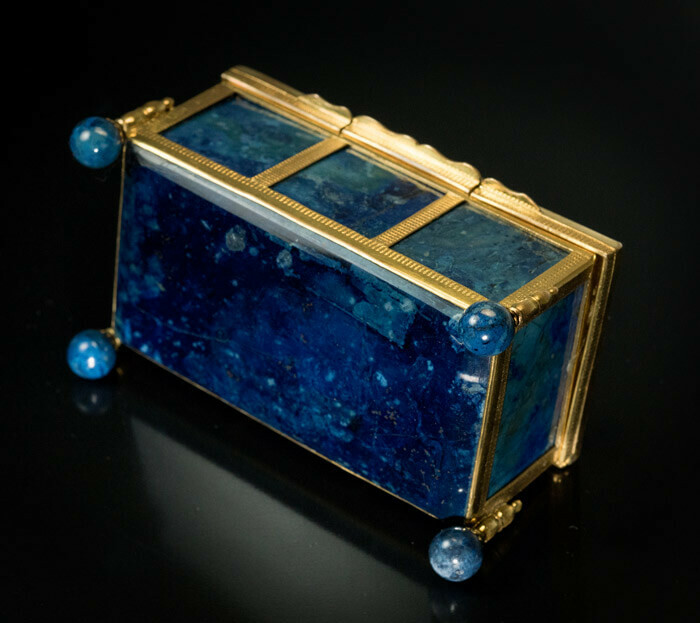 The box is made from gilded bronze and carved rectangular panels of lapis lazuli. The hight of each foot is adjustable to make the box stable on any surface. 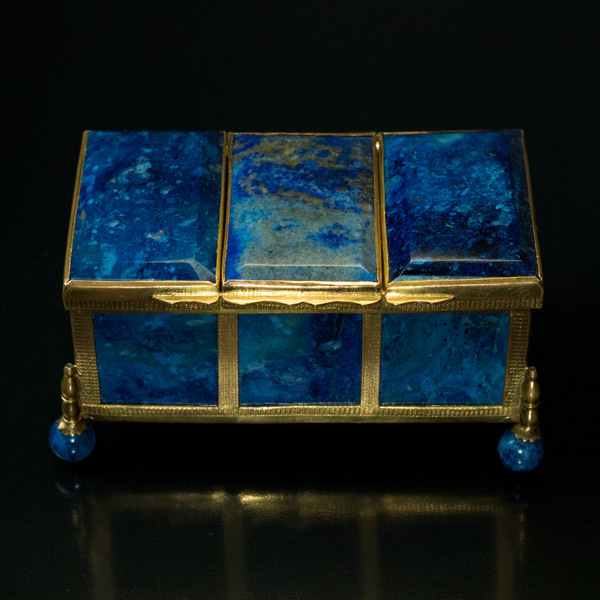 This type of jewelry boxes was popular in Russia in the mid 19th century. Majority of those boxes was made from banded agate. 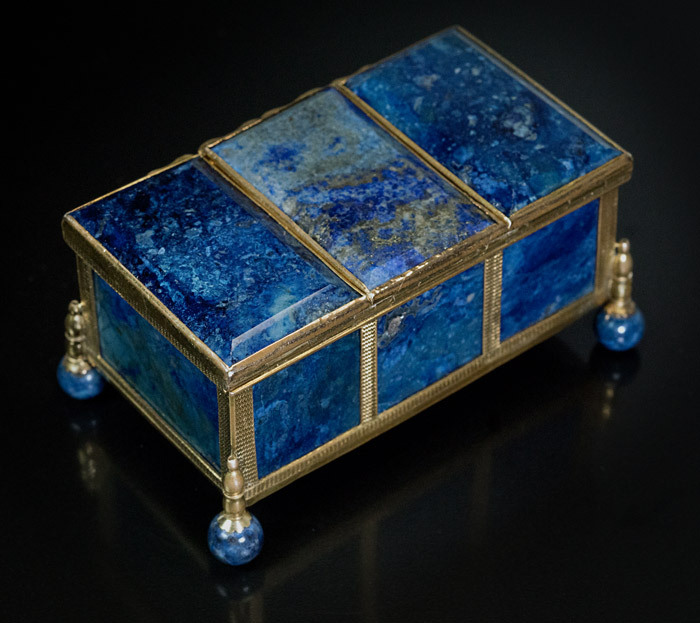 Lapis boxes are very rare.